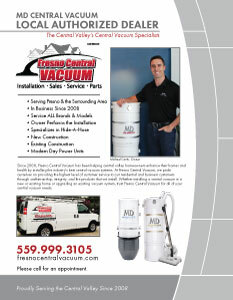 Fresno Central Vacuum, owned by Michael Cantu, is a family-owned and operated business dedicated to providing the highest level of service in the central vacuum industry. We have proudly served Fresno, CA and the surrounding areas since 2008, and we hope to continue to earn your trust in our business. We install central vacs in either new or existing buildings, as well as upgrade existing systems. We offer industry leading MD Manufacturing central vacuum equipment, and have been factory trained to ensure you receive the best service possible. 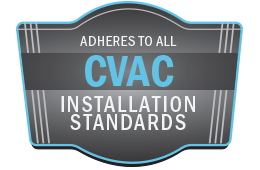 Let us show you how installing the right central vacuum system can enrich your life. Click here to see my flyer! Fresno Central Vacuum, your one-stop source for all your central vacuum needs!